Property 1: Cozy Cabin on the Water!!! Property 10: Holiday special during December!! Book 3 nights and receive the 4th free!! Cabin Located just minutes from the North end of lake Ouachita. Property 17: Cabin Located just minutes from the North end of lake Ouachita. Property 21: An Uptown Delight! Close to Downtown Hot Springs! Forest Glen Lanai Apartment.... forest, stream views. Property 24: Forest Glen Lanai Apartment.... forest, stream views. Property 33: Cabin At Lost Creek! Country Serenity Close To Town... Best Of Both Worlds. Downtown Hot Springs is Minutes Away! Totally Remodeled, Private Parking. Property 34: Downtown Hot Springs is Minutes Away! Totally Remodeled, Private Parking. 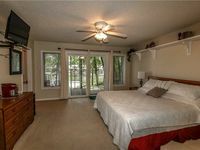 Peaceful and Charming Lake View Condo!! 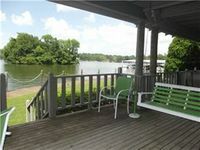 Property 35: Peaceful and Charming Lake View Condo!! Romantic Cozy Cabin located on the Creek, Perfect for a Spring Getaway. Property 37: Romantic Cozy Cabin located on the Creek, Perfect for a Spring Getaway. The Cabins On Grand #4. Property 39: The Cabins On Grand #4. Property 40: CREEK SIDE VILLA LOCATED PERFECTLY BETWEEN HOT SPRINGS VILLAGE AND HOT SPRINGS! Loved this one bedroom condo on the lake. Everything was perfect! Will be back again one day. We really enjoyed our stay. Everything was nice, clean and comfortable. Enjoyed the view. We enjoyed staying out by the water.